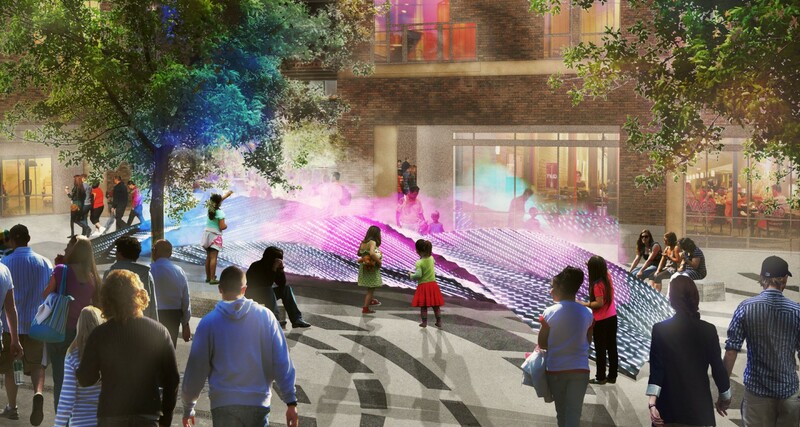 Located in the heart of downtown Chapel Hill, the 140 West Urban Plaza is the first development project in a larger town masterplan initiative to invigorate this college town with greater pedestrian oriented landscapes. 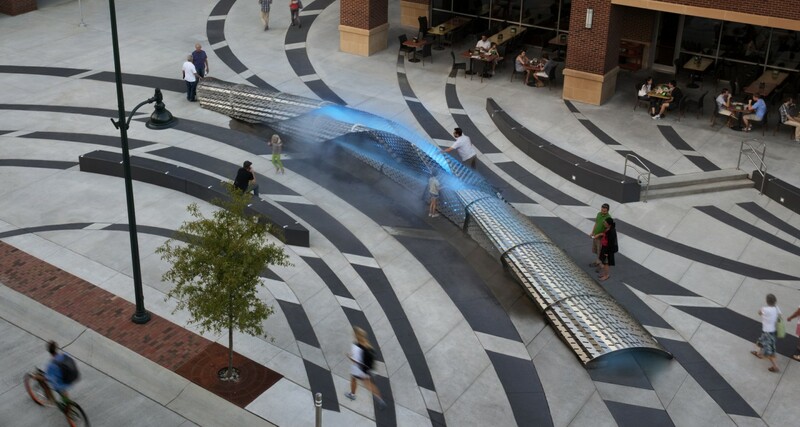 Framed by a mixed-used development that creates a commercial link between north Rosemary Street and the downtown restaurant district, this central gathering space offers a much needed public forum for play. 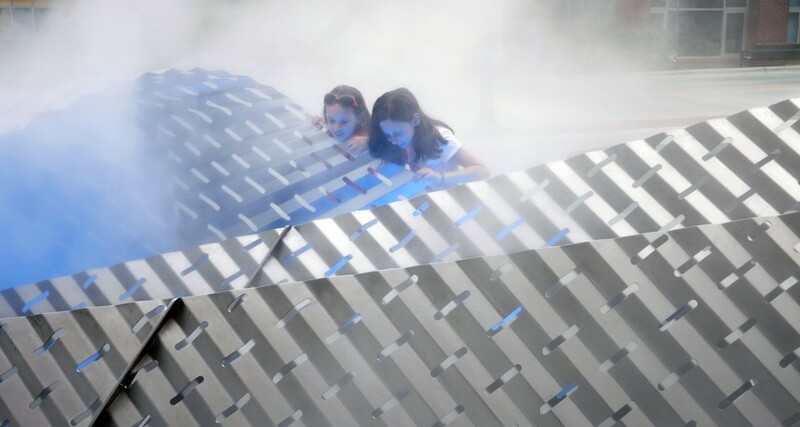 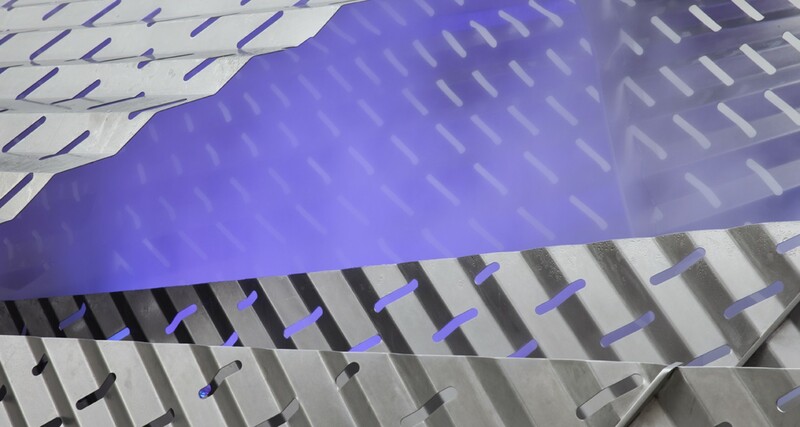 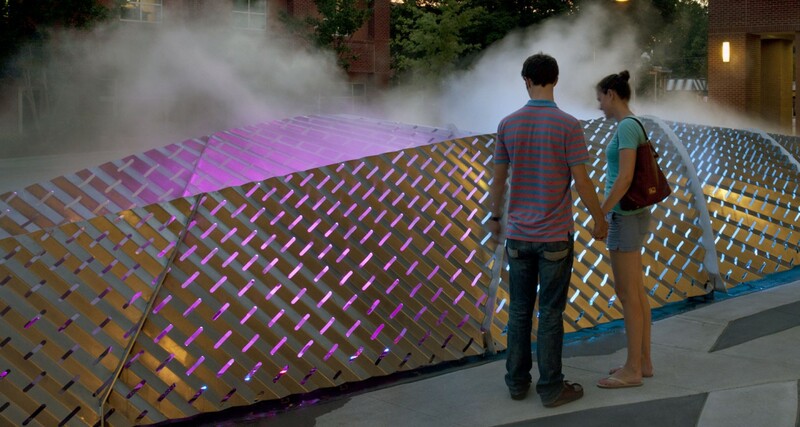 A sculptural fog fountain transforms water into a fog-like state. 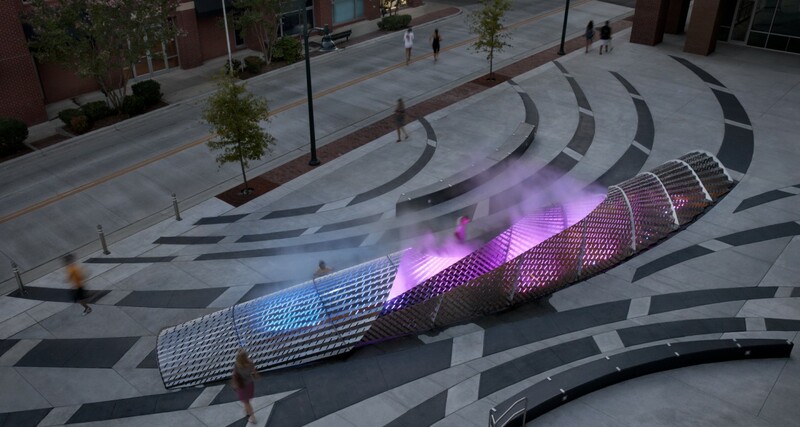 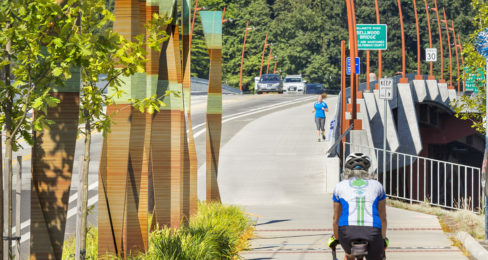 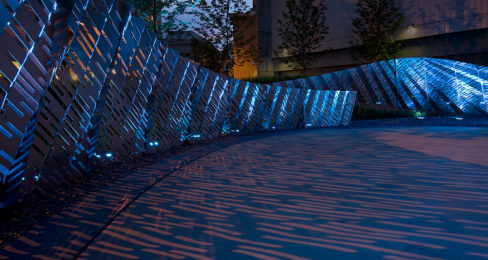 The design represents the dispersion and evaporation of water, expressing the hydrologic cycles of the environment. 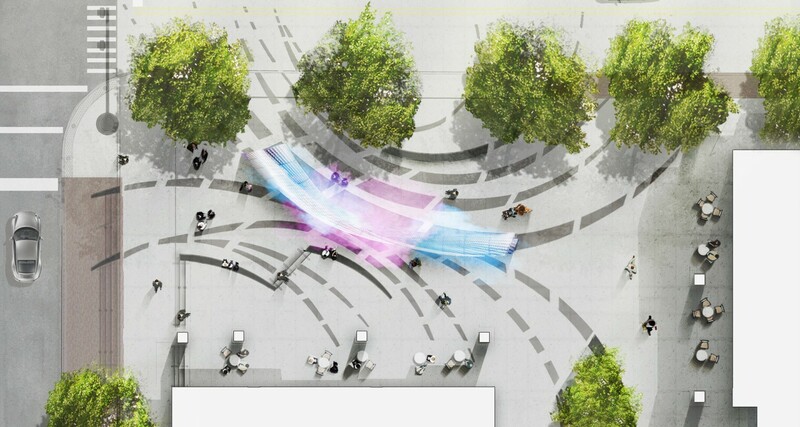 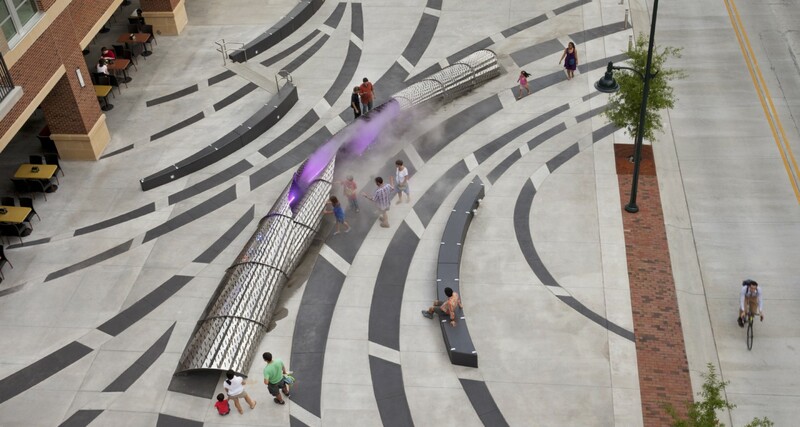 The surface of the sculpture becomes the transformative moment of hydrology from liquid to a gas, cooling the ambient temperature of the plaza as it evaporates into the air. 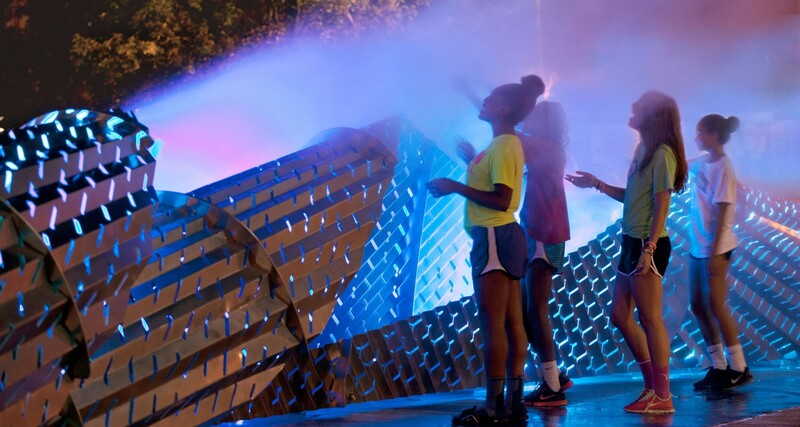 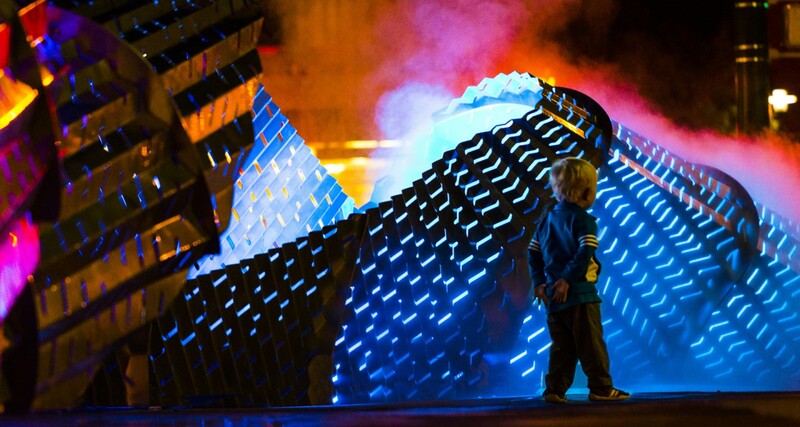 At night, the sculpture transforms the plaza with color and luminosity, engaging the public with a cooling amenity. 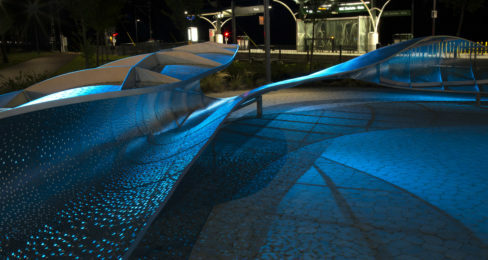 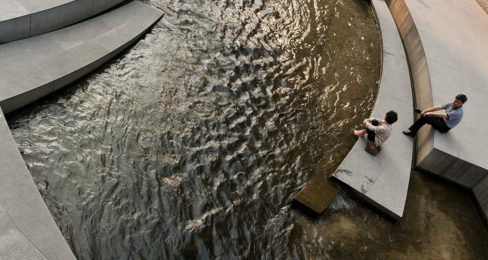 Through this project, Mikyoung Kim Design developed an inventive design that expresses the hydrological cycles within this urban plaza.